GTW recently had an email from Andy Swann, who was one of the key programmers at Twilight back in the early 90’s, and one of the lead developers of the cool Alfred Chicken on the Amiga. Andy has been attempting to find his old disks, and at Christmas found three disks. One blank, one with an early demo version of Alfred Chicken (Amiga) and another (and exciting!) 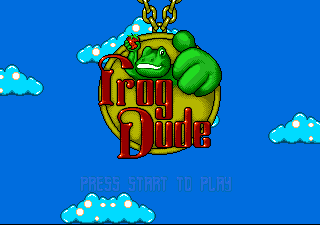 early demo of an aborted title called Frog Dude on the Sega Megadrive. 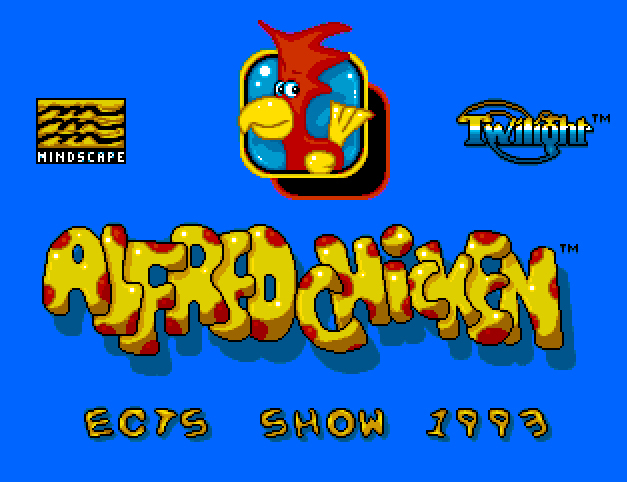 Firstly, Alfred Chicken’s demo is believed to be a ECTS demo with some differences from the final game (including a different picture of Alfred Chicken, different game palette and no sound effects). A nice curiosity! Frog Dude is a title which we don’t believe has been heard about before. 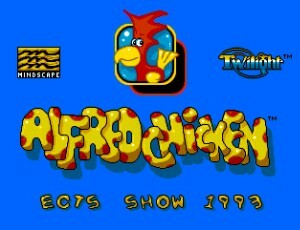 It was prototyped around the same time as Alfred Chicken, but wasn’t quite as strong a title – hence development was stopped before it could be touted to any publishers. Andy was the lead developer, whilst Peter Tattersall was on graphics. Andy’s agent, John Cook, had come in and said that the Frog Dude title was “workman-like” and suggested they didn’t bother with finishing it. Andy then went on to port Alfred Chicken to the Gameboy instead. As you can see from the various screenshots, the game takes some visual cues from Super Mario World, as the guys at the time were very taken by the game. 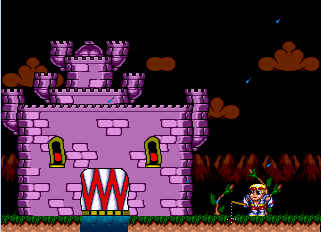 The game allows you to swap between a mace wielding prince and a frog with a large tongue. There are some nice cartoony graphics, including a small animated sequence at the start – but no sound in place. Thanks very much to Andy, he has allowed us to share both the Alfred Chicken demo and Frog Dude with you all. So feel free to download and run in your favorite emulator and take a look in particular at what could have been a British take on Super Mario World! This entry was posted in Amiga, Megadrive, Prototype. Bookmark the permalink. 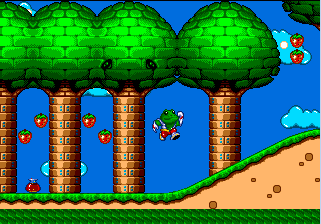 Just so you know, for some reason Frog Dude doesn’t seem to work in a real console.